Inspector General of Police Sultan Azam Temuri said a written request was sent to the ministry on Monday seeking the name of the US diplomat on the ECL. 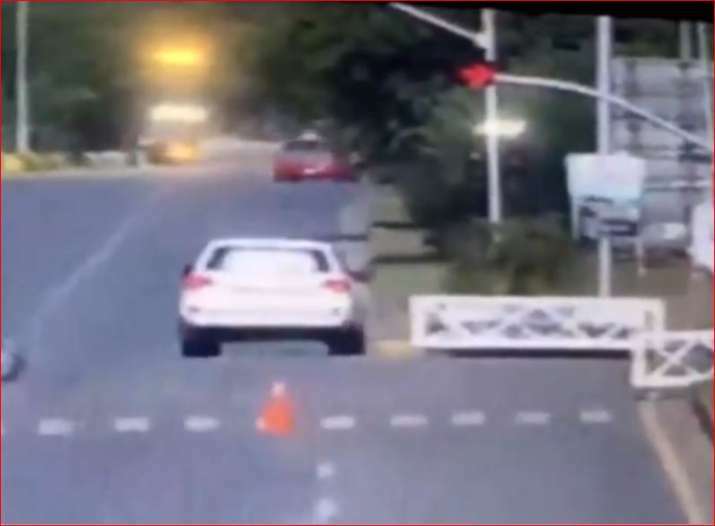 Pakistan's Interior Ministry has started the process of putting a senior US diplomat, who was involved in a road accident here in which a motorcyclist was killed, on the Exit Control List (ECL), the media reported. US Defence and Air Attache Col Joseph Emanuel Hall was driving a Land Cruiser and jumped a red signal on Saturday near Islamabad's Daman-e-Koh Chowk. He then hit a motorcycle carrying two men. The riders suffered injuries and later one of them -- Atiq Baig -- died. Inspector General of Police Sultan Azam Temuri said a written request was sent to the ministry on Monday seeking the name of the US diplomat on the ECL, Dawn online reported on Tuesday. The police informed the ministry that the diplomat was booked on criminal charges, including murder by mistake or rash or negligent driving. The presence of the diplomat was necessary for investigation, according to the report. Temuri said arrangements were made to prevent the diplomat from leaving the country. The official had a valid licence issued by the Islamabad Traffic Police and the police were considering cancelling it, he said. The daily cited police officials as saying that a CCTV footage showed that the diplomat drove the white Land Cruiser at a high speed, violated the red signal and hit the motorcycle. They said that the footage also showed that the diplomat neither applied the brake nor tried to save the motorcyclists. Police officials said the diplomat had made an attempt to travel abroad on a Middle East-bound Qatar Airways flight on Sunday but left from the airport after seeing police officials there.